Fishes are one of the best and cheap source of lean meat and more than half of the population on earth depends on fish for dietary protein source. From the past decade heavy importance has been given to fish production and their nutrition. Nutrition is the most important factor influencing the ability of cultured fish to exhibit its genetic potential for growth and reproduction. Live Food is the best to feed to fish as it is natural and healthy (Oramary, S.O.M., Koramarky, D.M.I., Salih, S.A., Mustafa, A.A. 2016). It is a money saver. But, in artificial tanks and ponds or natural habitats which are used exclusively for the fish farming and the natural feed availability is limited. Most commonly used fish feed contains Fish meal as protein source, which ranges between 10-50% of the operational costs (Ida, M. 1927). Moreover, the common edible fish’s food habits have been well established, so that we can easily formulate the feed rations (Gupta, S., Banerjee, S. 2016). Increasing costs and short supply of Fish feed has created the need to search for an alternative (Bimbo, A.P., Crowtber, B. 1992). So, the feed needs to be fortified with some additives. Feed additives are edible substances that are added to animal feeds in small quantity to enhance the feed quality so that it enhances growth performance and reduces mortality in fish (Dada, A.A. 2015). As there are strict regulations on the application of antibiotics and chemotherapeutics in aqua feeds due to bioaccumulation (Lim, et al. 2013), increasing importance is being given to feed additives. Feed additives can be broadly classified into two categories live and non-living. Use of low cost live feed supplements as feed additives is highly accepted and encouraged due to its eco-friendly nature. However, only few options are available in this category. Probiotics, plants and some algae comes into the live category. Probiotics are useful microorganism to the host. Addition of probiotics to the feed enhances the feed conversion ratio and decreases the mortality rate. Probiotics are also proved to have increase the immune response and enhance immune system in fish. However some scientists concluded that prebiotics should be given along with probiotics to enhance the effect of probiotics on the host or fish. Supplementation of host originated probiotics like B. mycoides significantly improves stress, tolerance which may help in live transportation (Ambas, I., Fotedar, R., Buller, N. 2016). Now a day’s most of the probiotic supplementation is fortified with Prebiotics to enhance the probiotic activity. Prebiotics are non-digestible to the host and enhances the growth and metabolism of probiotics in the host gastrointestinal tract. Fructooligosaccharide (FOS) is the commonly used prebiotics (Ye, J.D., Wang, K., Li, F.D., Sun, Y.Z. 2011; Akrami, R., Iri, Y., Rostami, H.K., Mansour, M.R. 2013). The effect of FOS has been documented well by many researchers [10-12] (Abd, El-latif, A.M., Abd, El-Gawad, E.A., Emam, M.A. 2015; Zhang, et al. 2014; Zhang, et al. 2015). Some researchers reported the antioxidant activity in fish fed with FOS (Guerreiro, I., Perez- Jimenez, A., Costas, B., Oliva-Teles, A. 2014; Abd, El-Gawad, E.A., Abd El-latif, A.M., Shourbela, R.M. 2016). Recently, some scientists proved the positive effects of medicinal plants or herbs as feed additives. These herbs improved the growth and feed utilization of the fish and also reduced diseases by regulating pathogens in Gastro intestinal tract (Farahi, A., Kasiri, M., Sudagar, M., Soleimani, I.M., Zorriehzahra, S.M.J. 2012; Manaf, et al. 2016). But instead of using single medicinal herbs using mixture of them will overcome disease problems, and can complement inadequacy of nutrient and phytochemicals. Even treating with herbs before cooking can enhance the taste of the cooked fish (Agbabiaka, L.A., Kuforiji, O.A., Egobuike, C.C. 2016). Oil extracted from herbs is also valuable and alternative to antibiotics as there will be negligible chance for the development of resistant strains (Christaki, E., Bonos, E., Giannenas, I., Florou- Paneri, P. 2012). Garlic oil is 200 times greater than garlic powder and 900 times the strength of fresh garlic (Helou, L., Harris, I.M. 2007). Seeds of Carum carvi (Ahmad, M.H., Abdel-Tawwab, M. 2011), Cuminum cyminum powder (YÃÂ±lmaz, S., Ergün, S., Soytas, N. 2013), Allium sativum, oregano oil, Origanum heracleoticum, thyme and fennel oil are being used as additives in fish feeds (Hassaan, M.S., Soltan, M.A. 2016). Fish feed supplements with Oils extracted from Orange Peel (Citrus auranticum L) has been proved to enhance the growth performance of fish (Acar, Ü., Kesbic, O.S., Yilmaz, S., Gultepe, N., Turker, A. 2015); Kusuma, H.S., Putra, A.F.P., Mahfud, M. 2016). Some researchers found that the use of plant based protein in fish feeds improved growth performance (Mzengereza, et al. 2016). While some concluded soya bean based protein supplements in fish feed enhance the fish growth. However, plant protein sources contains Enzyme inhibitors, toxins like Gossypol Tanins, Saponins, Lectins, Phytic acid etc., which can adversely affect the growth performance of fish (Krogdahl, A. 1986; Ali, et al. 2016). In order to overcome the effect of the toxins or anti-minerals or anti-vitamins, enzymes like phytase can be supplemented in the feed. Phytase breaks phytate, which increases the availability of phytate-phosphorus in fish diet (Cain, K.D., Garling, D.L. 1995; Nwanna, L.C. 2007; Nwanna, L.C. 2007). However Dietary Ca: P ratios are crucial for the phytase activity (Li, et al. 2016; Pai, I.K., Altaf, M.S., Mohanta, K.N. 2016). Probiotics usage can also minimize the effect of the anti-nutrients (Ida, M. 1927). Some scientists got positive results in including the vegetable and other food wastes in fish feeds (Akpoilih, B.U., Ajani, E.K., Omitoyin, B.O. 2016). While other researchers recommended usage of poultry waste meal instead of fish meal which costs less than the usage of generally used fishmeal (Yones, A.M.M., Metwalli, A.A. 2016). Some studies concluded that salt can be used as additive in fish diets to enhance growth (Mzengereza, K., Kang’ombe, J. 2016). But the usage of these additives is species specific and various with geographical location. As fishes are valuable and cheap sources of omega fatty acids and other vital nutrients for humans, there is a long way to optimize their production and management. Fish nutrition must be carefully analyzed and there is a requirement to search for the novel feed additives or supplements which ensure low feed cost, maximum digestibility with minimum side effects and high feed conversion ratio. Oramary, S.O.M., Koramarky, D.M.I., Salih, S.A., Mustafa, A.A. (2016) Feeding Common Carp Fish (Cyprinuscarpio) on Natural Foods (Algae, Phytoplankton, Zooplankton and Others) on Tigris River in Mosul Dam / Duhok, Kurdistan Region of Iraq. J Aquac Res Development 7, 413. Ida, M. (1927) The Natural and Artificial Foods of Fishes. Transactions of the American Fisheries Society Volume 57, 120-142. Gupta, S., Banerjee, S. (2016) Food, Feeding Habit and Reproductive Biology of Tire-track Spiny Eel (Mastacembelusarmatus): A Review.J Aquac Res Development 7, 429. Bimbo, A.P., Crowtber, B. (1992) Fish meal and oil: Current uses. Jl of Am ChemSoc69, 221-227. Dada, A.A. (2015) Improvement of tilapia (Oreochromisniloticus Linnaeus, 1758) growth performance fed three commercial feed additives in diets. 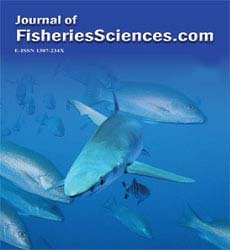 Journal of Aquaculture Research and Development 6, 325-327. Lim, S.J., Jang, E., Lee, S.H., Yoo, B.H., Kim, S.K, et al. (2013) Antibiotic resistance in bacteria isolated from freshwater aquacultures and prediction of the persistence and toxicity of antimicrobials in the aquatic environment. J EnvironSciHealth 48, 495-504. Ambas, I., Fotedar, R., Buller, N. (2016) Survival and Immunity of MarronCheraxcainii (Austin, 2002) Fed Bacillus mycoides Supplemented Diet under Simulated Transport. J Aquac Res Development 7, 390. Ye, J.D., Wang, K., Li, F.D., Sun, Y.Z. (2011) Single or combined effects of fructo-and mannan oligosaccharide supplements and Bacillus clausii on the growth, feed utilization, body composition, digestive enzyme activity, innate immune response and lipid metabolism of the Japanese flounder Paralichthysolivaceus. Aquaculture nutrition 17, 902-911. Akrami, R., Iri, Y., Rostami, H.K., Mansour, M.R. (2013) Effect of dietary supplementation of fructooligosaccharide (FOS) on growth performance, survival, lactobacillus bacterial population and hemato-immunological parameters of stellate sturgeon (Acipenserstellatus) juvenile. Fish Shellfish Immunol35, 1235-1239. Abd, El-latif, A.M., Abd, El-Gawad, E.A., Emam, M.A. (2015) Effect of dietary fructooligosaccharide supplementation on feed utilization and growth performance of Nile tilapia (Oreochromisniloticus) fingerlings. Egyptian Journal of Aquaculture 5, 1-16. Zhang , C.N., Tian, H.Y., Li, X.F., Zhu, J., Cai, D.S., et al. (2014) The effects of fructooligosaccharide on the immune reponse, antioxidant capability and HSP70 and HSP90 expressions of blunt snout bream (Megalobramaamblycephala) under high heat stress. Aquaculture 433, 458-466. Zhang, C.N., Li, X.F., Tian, H.Y., Zhang, D.D., Jiang, G.Z., et al. (2015) Effects of fructooligosaccharide on immune response antioxidant capability and HSP70 and HSP90 expressions of blunt snout bream (Megalobramaamblycephala) under high ammonia stress. Fish Physiology and Biochemistry 41, 203-217. Guerreiro, I., Perez-Jimenez, A., Costas, B., Oliva-Teles, A. (2014) Effect of temperature and short chain fructooligosaccharides supplementation on the hepatic oxidative status and immune response of turbot (Scophthalmusmaximus). Fish & Shellfish Immunol40, 570-576. Abd, El-Gawad, E.A., Abd El-latif, A.M., Shourbela, R.M. (2016) Enhancement of Antioxidant Activity, Non-specific Immunity and Growth Performance of Nile Tilapia, OreochromisNiloticus by Dietary Fructooligosaccharide. J Aquac Res Development 7, 427. Farahi, A., Kasiri, M., Sudagar, M., Soleimani, I.M., Zorriehzahra, S.M.J. (2012) Effect of dietary supplementation of Melissa officinalis and Aloe vera on hematological traits, lipid oxidation of carcass and performance in rainbow trout (Oncorhynchusmykiss). Online Journal of Animal and Feed Research 2,1-5. Manaf, S.R., Daud, H.M., Alimon, A.R., Mustapha, N.M., Hamdan, R.H., et al. (2016) The Effects of Vitextrifolia, Strobilanthescrispus and Aloe vera Herbal-mixed Dietary Supplementation on Growth Performance and Disease Resistance in Red Hybrid Tilapia (Oreochromis sp.). J Aquac Res Development 7, 425. Agbabiaka, L.A., Kuforiji, O.A., Egobuike, C.C. (2016) Comparative Studies on the Nutrients, Sensory and Storage Qualities of Moon-Fish (CitharinuscitharusGeoffery Saint-Hilaire 1809) Pre-Treated with Extracts from Two Spices. J Aquac Res Development 7,398. Christaki, E., Bonos, E., Giannenas, I., Florou-Paneri, P. (2012) Aromatic plants as a source of bioactive compounds. Agriculture 2, 228-243. Helou, L., Harris, I.M. (2007) Herbal products; toxicology and clinical pharmacology (2ndedn). Totowa, Human Press, New Jersey. Ahmad, M.H., Abdel-Tawwab, M. (2011) The use of caraway seed meal as a feed additive in fish diets: Growth performance, feed utilization, and whole-body composition of Nile tilapia, Oreochromisniloticus (L.) fingerlings. Aquaculture 314, 110-114. Yilmaz, S., Ergün, S., Soytas, N. (2013) Dietary supplementation of cumin (Cuminumcyminum) preventing streptococcal disease during first-feeding of Mozambique tilapia (Oreochromismossambicus). J Bio Sci Biotech 2, 117-124. Hassaan, M.S., Soltan, M.A. (2016) Evaluation of Essential Oil of Fennel and Garlic Separately or Combined with Bacillus licheniformis on the Growth, Feeding Behaviour, Hemato-biochemical Indices of Oreochromisniloticus (L.) Fry.J AquacRes Development 7, 422. Acar, Ü., Kesbic, O.S., Yilmaz, S., Gultepe, N., Turker, A. (2015) Evaluation of the effects of essential oil extracted from sweet orange peel (Citrus sinensis) on growth rate of tilapia (Oreochromismossambicus) and possible disease resistance against Streptococcus iniae. Aquaculture 437, 282-286. Kusuma, H.S., Putra, A.F.P., Mahfud, M. (2016) Comparison of Two Isolation Methods for Essential Oils from Orange Peel (Citrus auranticum L) as a Growth Promoter for Fish: Microwave Steam Distillation and Conventional Steam Distillation.J Aquac Res Development 7, 409. Mzengereza, K., Singini, W., Msiska, O.V., Kapute, F., Kang’ombe, J., et al. (2016) Apparent Nutrient Digestibility of Plant Based Diets by Tilapia rendalli(Boulenger, 1896). J Aquac Res Development 7, 396. Krogdahl, A. (1986) Anti-nutrients effecting digestive functions and performance in poultry.Proc.Of the 7th European poultry conf., World Poultry Sci. Association, Paris. Ali, H.A., Ali, J.A., Musthafa, S.M., Kumar, M.S.A., Naveed, S.M., et al. (2016) Impact of Formulated Diets on the Growth and Survival of Ornamental Fish PterophyllumScalare (Angel Fish). J Aquac Res Development 7, 421. Cain, K.D., Garling, D.L. (1995) Pretreatment of soybean meal with phytase for Salmonid diets to reduce phosphorus concentration in hatchery effluents. Prog Fish-Cult 57, 114-119. Nwanna, L.C. (2007) Effect of Dietary phytase on Growth, Enzyme Activities and Phosphorus Load of Nile Tilapia (Oreochromisniloticus). Journal of Engineering and Applied Sciences 2, 972-976. Li, W., Wu, X., Lu, S., Jiang, S., Luo, Y., et al. (2016) Effect of Different Dietary Carbohydrate/Lipid Ratios on Growth, Feed Utilization and Body Composition of Early Giant Grouper EpinephelusLanceolatus Juveniles. J Aquac Res Development 7, 415. Pai, I.K., Altaf, M.S., Mohanta, K.N. (2016) Development of Cost Effective Nutritionally Balanced Food for Freshwater Ornamental Fish Black Molly (Poecilialatipinna).J Aquac Res Development 7, 401. Akpoilih, B.U., Ajani, E.K., Omitoyin, B.O. (2016) Optimum Dietary Ca/P Ratio and Phytase for Growth and Bone Mineralization in Juvenile Clariasgariepinus Fed Soya Bean-Based Diet. J Aquac Res Development 7, 403. Yones, A.M.M., Metwalli, A.A. (2016) Effects of Fish Meal Substitution with Poultry By-product Meal on Growth Performance, Nutrients Utilization and Blood Contents of Juvenile Nile Tilapia (Oreochromisniloticus). J Aquac Res Development 7, 389. Mzengereza, K., Kang’ombe, J. (2016) Effect of Dietary Salt (Sodium Chloride) Supplementation on Growth, Survival and Feed Utilization of Oreochromisshiranus (Trewavas, 1941). J Aquac Res Development 6, 388.